Price: $18990 - A collectible for you! We are always excited to bring special Corvettes to your attention... This time, we have a rare Triple White Convertible in excellent condition with only 34K miles. The White leather seats were available only for the 92 and 93 models and were pretty pricey = $1180. Only 622 were ordered with that interior which could be combined with any exterior color or body style, making this one quite a unique combination. Other options include the ZF6 manual transmission, electronic climate control, Bose sound system. It is completely stock with the exception of the factory-style Chrome wheels which add a special touch. A new Bosch battery was just installed. Car is in excellent mechanical and cosmetic condition, all is in working order and miles are documented. A CarFax report is always available on demand. 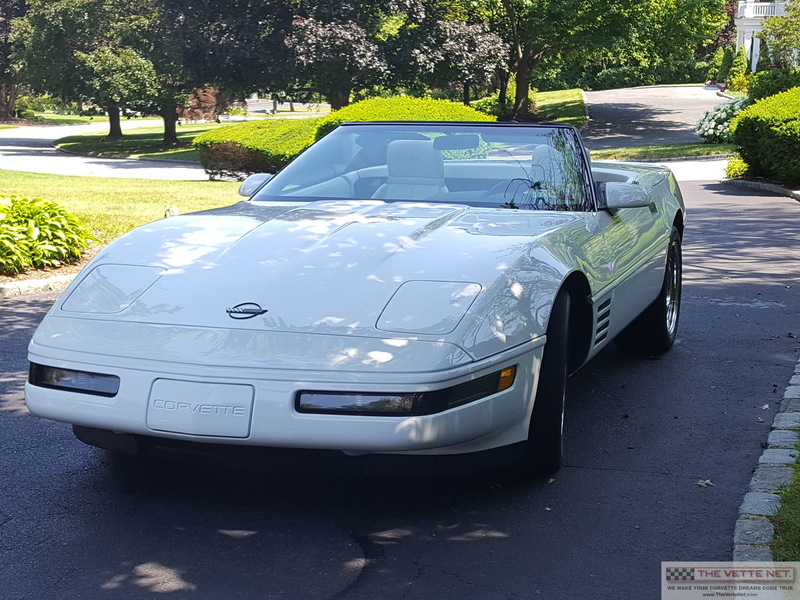 This fine example of the 4th generation of Corvettes is already shaping up as a future collectible due to its exquisite color combo, pristine condition, low miles, also, being a 40th Anniversary model (as a matter of fact, all 93 models were labeled as such). Located in New York, we will assist with delivery nationwide and all over the world.